Reserve your seat to get your free book! The Second Coming continues to be one of the hottest topics in Christianity. For nearly 1,900 years, our ancestors had clarity on this issue, but nowadays it can be hard to make sense of all the theories and interpretations surrounding Christ’s return. The most important thing we can do is to return to the Scriptures again and again to see what the Bible actually says about this incredible event. 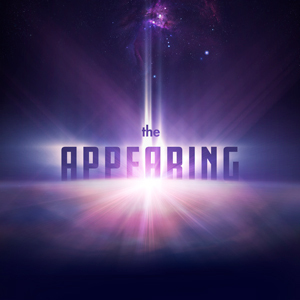 In this all-new edition of The Appearing, Shawn Boonstra takes a closer look at the ancient prophecies of the Bible and pieces together a startling but undeniable picture of last-day events that may come as a surprise to many readers. This book utilizes the precision of Bible prophecy to present a hope-filled and encouraging biblical view about the Second Coming of Christ—and it will take your breath away! *Free book available at participating locations, while supplies last. Pastor Shawn Boonstra is the speaker for the Voice of Prophecy media ministry. His live seminars have been a source of inspiration around the globe. His clear grasp of Scripture and keen understanding of current events will give you peace of mind in a troubled world, and his warm, dynamic presentations will inspire you. Shawn has shared the gospel on six continents to hundreds of thousands of individuals over the last two decades.